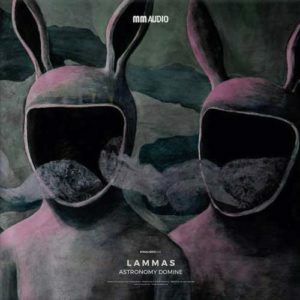 Despite of a few digital releases and a single-sided vinyl for Kapvt Mvndi, Astronomy Domine belongs to techno’s newcomers. 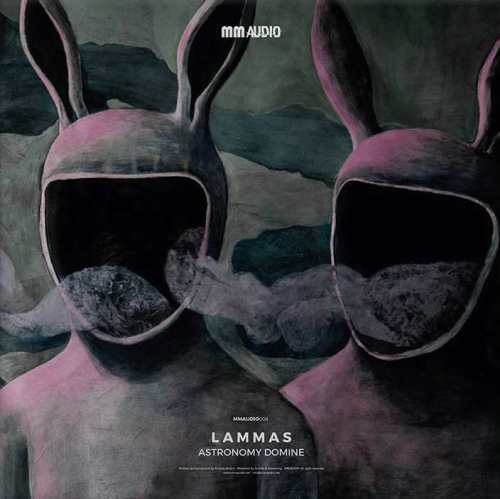 His functional “Lammas” – which means ‘sheep’ in my native Estonian, but rather stands for ‘harvest festival’ in Italian – comes from the school of Gigli or Lapiana and it would be difficult to distinguish the title track from the dark droning mass of club tools. Of the similar type is Wrong Assessment‘s perfumed remix. Still we have two delicious fruits in the box. Of totally different tonality is the scary ambient “Imbolc”, a standout Gothic crawler with complaints of tortured souls and inhuman gurgling borrowed from Tuvan throats. In the position B2, Tresor warhorse Pacou takes the title track to techno’s zenith, shattering the walls with intrusive pounding and sweeping synths. This is a trip. 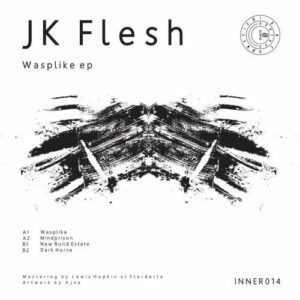 I’m not too familiar with Justin K. Broadrick’s aliases and collaborations, but the nineties act Techno Animal, first heard on a “Electric Ladyland” compilation, certainly rings the bell. Prior to that Broadrick used to be in bands Napalm Death and Godflesh, and from the latter he has kept only the ‘flesh’ and serves marauding industrial fare we can expect on Inner Surface. The steel-brushed title track is bulldozing the road for the filtered blast “Mindprison”, which reminds of Sativae’s tracks. Rough shot “New Build Estate” is not afraid of a semi-melancholic passage and twisted heavyweight “Dark Horse” takes the annihilating noisy session to the end. 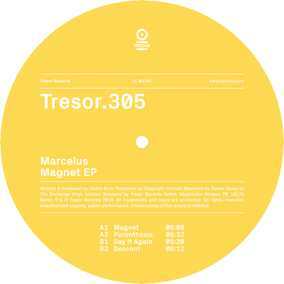 Lately having a few EPs on his own Singular Records, French techno artist Cédric Bros aka Marcelus is back on Tresor where he previously released the debut album. In the new EP from the Parisian, “Magnet” is an affluent summer tune, shining en route from Havana to Rio and flirting with UR’s Latin vibes. When looking for its accelerated kin, just go and pick “Say It Again”. Delicate “Parenthesis” and aquatic “Descent” round up the stimulating release with tribal undercurrents. Pardon my French, but don’t we have with Marcelus the tech house standard for 2018?